England kick off their World Cup preparations against fellow qualifiers Nigeria in a friendly this weekend. The Three Lions will face Panama, Tunisia and Belgium in their World Cup group in Russia, while the Super Eagles face Argentina, Iceland and Croatia. Gareth Southgate's side will also face Costa Rica before jetting off to the tournament, while Nigeria take on the Czech Republic. Goal brings you all you need to know ahead of the friendly clash between the two sides including team news, squad predictions and TV information. In the United Kingdom (UK) the game can be watched live on television on ITV, as well as being available to stream live online using the ITV Player. 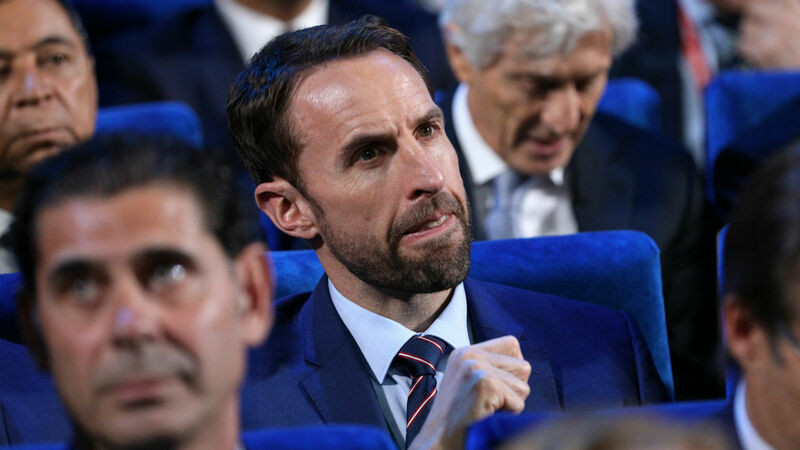 It remains to be seen if Gareth Southgate will take the opportunity to experiment against Nigeria, though it is more likely that he will begin to lay the groundwork for his starting XI in Russia. Phil Jones, a defender Southgate is understood to rate highly, could be given the day off as his partner is due to give birth, while Nick Pope has expressed his hope that he will be given a chance to shine. Nigeria have a travelling squad of 25 players, which will be whittled down to 23 by June 4. Forward Moses Simon has travelled with the squad but is set to undergo a late fitness test after sustaining a thigh injury, per the BBC, while a number of familiar faces will play at Wembley; John Obi Mikel is a former Chelsea player, while Victor Moses currently represents the Blues and the likes of Ahmed Musa, Kelechi Iheanacho and Alex Iwobi all have previous in the Premier League. England are overwhelming favourites at 4/9 on dabblebet , while a draw is between the two sides is offered at 3/1 and a Nigeria upset is up for 13/2. Click here to see all of dabblebet's offers for this weeks' international friendly matches. England qualified for the World Cup with ease - sailing through a group also featuring Scotland, Slovakia and Slovenia unbeaten - and, as such, this encounter with Nigeria is an intriguing one. The Super Eagles have strength in depth, and a core comprising a number of Premier League players, and they will be no pushovers. They, too, topped their group, beating out Zambia, Cameroon and Algeria, who drew with England at the 2010 tournament, to punch their ticket to Russia. Manager Southgate is likely to play a strong team, as he bids to prepare his side for their opening games next month. Momentum, of course, is key, and the Three Lions would do well to be wary, as Nigeria will also be looking to kick off their preparations with a bang.